The Ticket Clinic Daytona Beach office is near you! 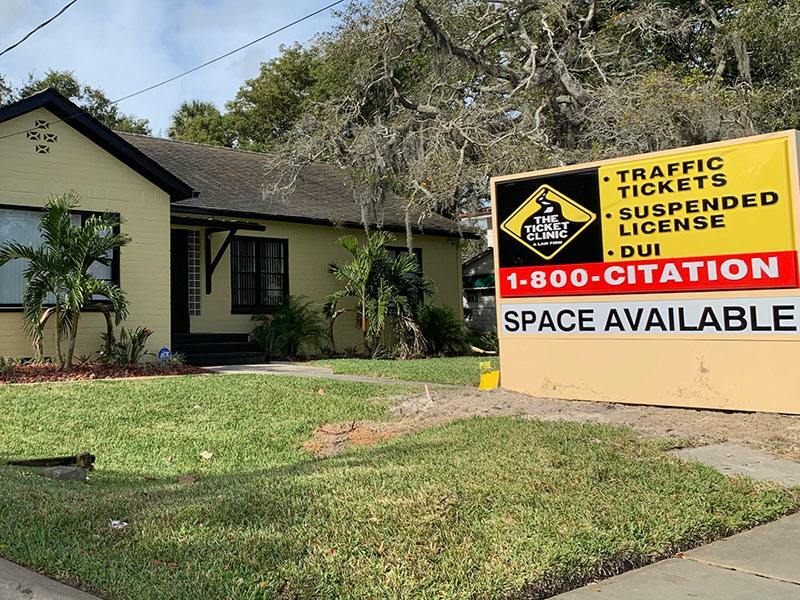 If you need a traffic attorney in Daytona Beach, we have successfully handled all traffic violations in the County and the State for 30 years, including DUI. If you’ve been involved in a traffic accident or been charged with a traffic offense, an experienced car accidents lawyer in Daytona Beach can help to keep your insurance down and your driving record clean. Avoid or reduce conviction, points in your driving record and driving school by hiring a local Daytona Beach traffic attorney. How much The Ticket Clinic cost? Hiring a lawyer does not have to be expensive. At The Ticket Clinic, our fees are reasonable, especially when you compare them to the cost of the ticket and the increase in insurance rates. It costs you nothing to talk with us about your case. We offer FREE phone consultations to Boynton Beach drivers and we’ll give you an immediate assessment of your situation. Protect your driver’s license. We accept Visa, MasterCard, American Express and Discover for your convenience.